Housing was the centrepiece of the Chancellor's 2017 Budget, with the headline news of the abolition of stamp duty for first-time buyers on properties priced below £300,000. The housing shortage is considered one of the biggest crises of our time and the Tory government was under huge pressure to ease seven years of austerity. Now, the Treasury has allocated £44 billion to housing over the next five years with would-be home buyers the beneficiaries of the plans outlined by Philip Hammond. Yet some industry experts are already arguing that these measures do not go far enough to ease the pressure of rising house prices, high rents and stagnant wages. 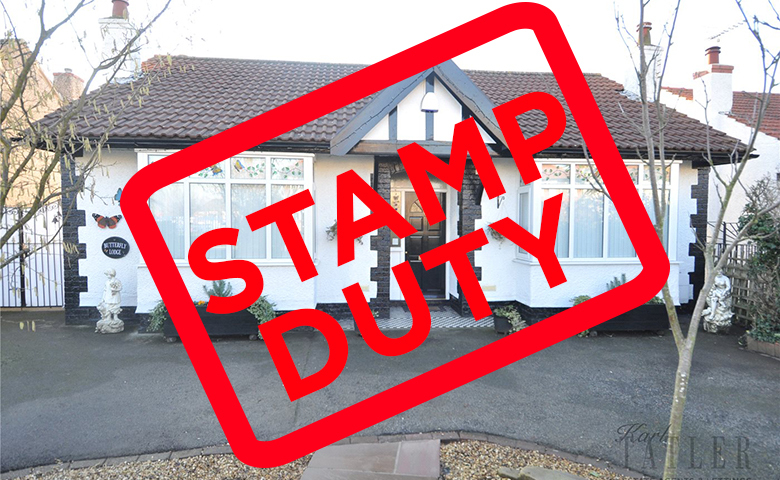 Stamp duty will be abolished for all first-time buyer property purchases up to £300,000, with effect from today. It was a highly anticipated move that equates to a £5,000 saving on the average price of first homes in London and will come as a small relief to those struggling to save up for deposits and stamp duty. Stamp duty relief will also be available on the first £300,000 of the purchase price of properties up to £500,000, to reduce the costs for first-time buyers in high-price areas, such as London. The portion of the house price between £300,000 and the £500,000 price ceiling will be taxed at five per cent. With the average first-time buyer home in the capital now costing £479,000, according to Savills, this cuts stamp duty from £13,950 to £8,950. “First-time-buyers should think about acting quickly to take advantage of this stamp duty ban, before the extra demand it creates pushes up prices and starts to eat away at the extra cash this stamp duty exemption will free up," says Rightmove director and housing market analyst, Miles Shipside. "The Government has already put buy-to-let landlords on the back foot with its three per cent stamp duty surcharge, so this extra advantage of no stamp duty or lower stamp duty on purchases over £300,000 gives first-time-buyers an extra edge.â€‹"
The Treasury calculate these changes will reduce property tax for 95 per cent of first-time buyers and means that 80 per cent of first-time buyers will pay no stamp duty at all. "What it won’t do is solve the affordability gap between property prices and wages that many [would-be] homeowners face," says Hannah Maundrell, editor in chief of Money.co.uk. In England, average house prices are almost eight times the average worker’s salary, while in London they are nearly 12 times. The Government believes that "the only sustainable way of making housing more affordable in the long term is to build more homes in the right places". It has pledged to build 300,000 homes a year on average by 2025, which will be the biggest annual increase in housing supply since 1970. Hammond outlined building programmes that focus on urban areas where people want to live and where the most jobs are created, with the aim of building quality, high-density homes in city centres and around major transport hubs. Aims to increase the supply of land and unlock strategic sites and urban regeneration schemes were also mentioned. The Housing Infrastructure Fund will be doubled, with an emphasis placed on estate regeneration. Also, Housing Revenue Account (HRA) caps, which limit the amount councils can borrow to build new homes, will be lifted. Councils in high-demand areas will be encouraged to build more homes for first-time buyers and renters. “The Government has an enormous mountain to climb to achieve 300,000 homes per year by the 2020s and tackle decades of undersupply, yet today’s Budget was certainly no ‘game changer’ moment for the development market. The focus must be on delivery," says Ian Anderson, partner in Cushman & Wakefield’s planning and development team. In his response to the Budget, Labour leader Jeremy Corbyn highlighted that the Government had promised 200,000 starter homes three years ago, but none have been built. He said: "With this government delivering the worst rate of housebuilding since the Twenties and a quarter of a million fewer council homes, any commitment is welcome". The Help to Buy Equity Loan scheme, which offers a five-year loan of up to 40 per cent in London on new build homes costing £600,000 or less, was scheduled to close in 2020. Last month, Theresa May promised an extra £10 billion to extend the scheme until 2021 and this was confirmed in the Budget. There are doubts about how useful the scheme is in the capital because of high house prices. So far, 4,586 Londoners have bought a home with an equity loan, out of 134,558 nationwide. Help to Buy has also been accused of raising house prices. A study by homelessness charity Shelter found that the scheme had pushed up the price of an average house by £8,250. Although Mr Hammond acknowledged the biggest barrier to buying was saving for a deposit, renters were largely overlooked in this Budget. However, one thing he did announce was looking into ways to encourage landlords to offer longer rental tenancies, providing more security to those that seek it. Search our properties available to buy here.